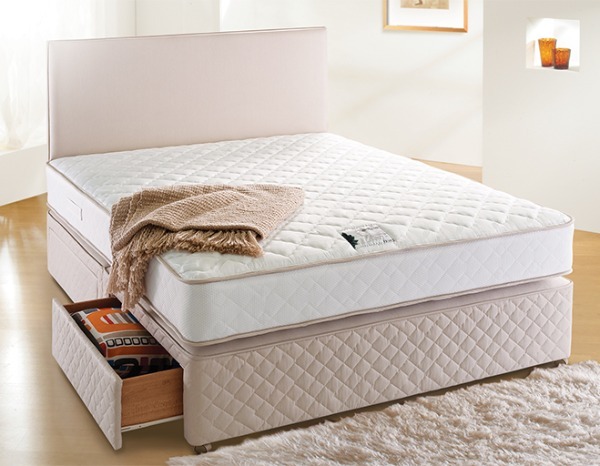 The Mattress on the Ruby Divan Bed is supported with a traditional open coil sprung unit and contains soft, layers of quality upholstery with a Quilted finish on outer fabric cover. 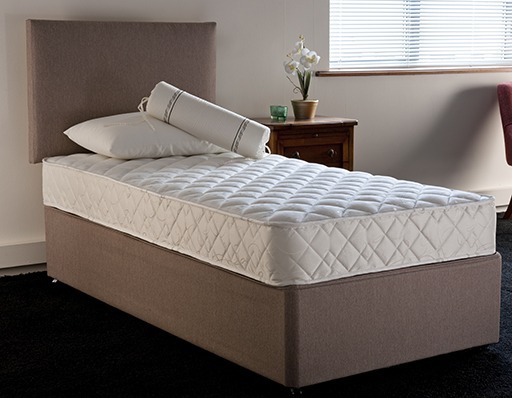 Our Ruby Divan Split Base provides a firm foundation for the Mattress. Storage Drawers on all models are an optional extra. Upholstered Headboards available for the Ruby Bed in a range of colours.